Ready to celebrate St. Patrick's Day? Here is a fun little glyph you can do with your students to celebrate. 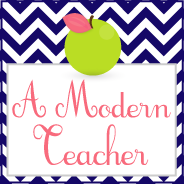 Just head over to A Modern Teacher's store to snag it up :) It is perfect for Kinder or 1st Grade.